Kadey Krogen and Outer Reef have formed a formidable team. When Larry Polster first laid eyes on on a Kadey Krogen motor yacht over 20 years ago, he knew he wanted to own one. He could not have known he would one day own the whole company. Today, Polster is one of three owners with a stake in the American pocket cruiser brand, which made its Australian debut at SCIBS. 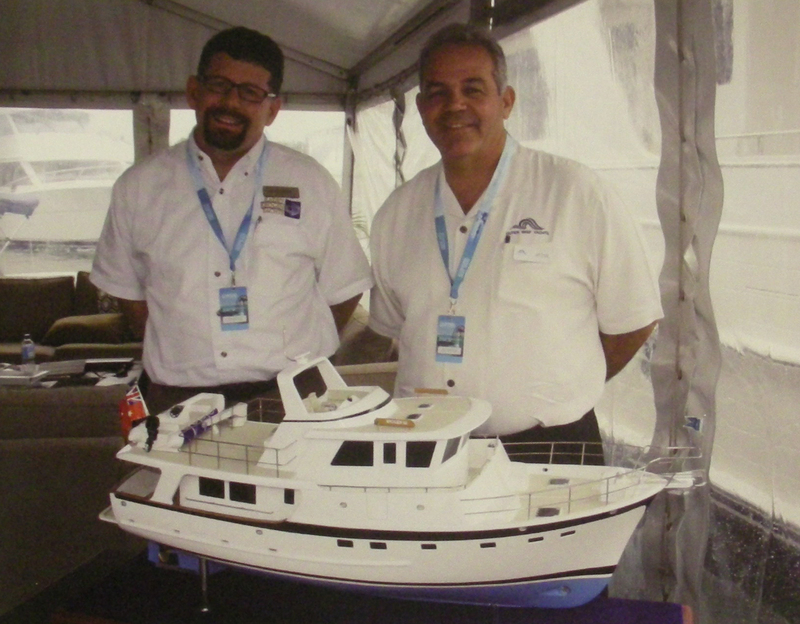 "I first saw the brand in 1989 at the Annapolis boat show and thought, 'I want one of those one day'. Eventually I bought one second hand," Polster told Ocean. Having had control of the company for five years now, Polster has struck up a deal with Outer Reef Yachts which will see the brand go global through Outer Reef's dealer network, including Australia. "Kadey Krogen have the same values of quality and customer service that we have, so there was a natural alignment there," said Outer Reef CEO Jeff Druek. Kadey Krogen concentrates on the sub-60-foot segment while Outer Reef chases business in the bigger sizes. "We have people coming in the door looking for something under 60-foot range and we had nothing to offer them," said Druek. "Now we do."